A United Nations expert on extreme poverty and human rights met Monday with hurricane victims in Puerto Rico as complaints grow about the U.S. government's response to a Category 4 storm. 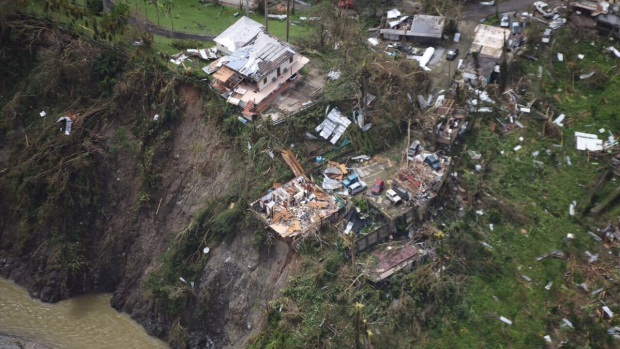 Alston told The Associated Press that there is a disproportionate number of Puerto Ricans living in poverty and that he's trying to assess, among other things, the effectiveness of measures taken by the federal government after the storm hit on Sept. 20, killing dozens of people and destroying tens of thousands of homes. Ten of the island's 78 municipalities are still without power, and thousands of businesses remain closed. "I've visited areas that are still completely without power. I've seen areas that have lots of damage that hasn't been removed, and that must be very distressing after three months," he said. Roughly 45 percent of Puerto Rico's 3.4 million people were already living below the poverty line before the hurricane hit. "There is more resiliency and potential self-sufficiency here than has been acknowledged," he said. "There are a number of issues I want to take up," he said. "We're not living. We're surviving on what little aid we receive," said community leader and resident Mario Nunez. "We have human rights." "This has been a disaster...I've fallen into a depression," she said as she used both hands to wipe away tears.